In March 2007, during my senior year of high school, I was interviewed at school by a manager of a local country club. Several of my friends also applied and we were all interviewed for a variety of open positions, ranging from maintenance to golf attendants to banquet work. Truth is, we all thought it sounded fun and we all needed summer jobs. So when the opportunity came, we could not pass it up. I had a great conversation with the manager and felt pretty good about it afterwards. Fast forward to immediately after school that day (like an hour after I interviewed) when I got a phone call letting me know I was being offered a job within the banquets staff and should come by that day to fill out my paperwork. It was an opportunity I could not say no to, and I started working. This job ended up being one of the best jobs I have ever had, I absolutely loved getting to work a variety of events for people and working along side amazing people. I worked at the country club until december 2010, and left due only because I was getting more involved in college and could not get home to work. Working at the country club was the start of what appears to be a career of hospitality-related work. I learned so much from this job, from F&B skills to customer service and critical thinking and problem solving. Two of the best bosses I have worked for were here too, along with several other banquet staff. 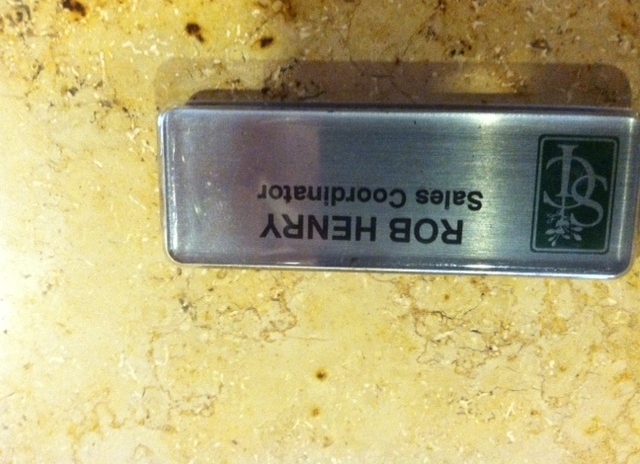 Now, six years after being initially hired, I am once again returning to work at the country club. I will still be working on banquets, but this time I will be leading events. I have worked in a variety of roles over the years, roles that I now know have been preparing me for this position and potentially more. I am excited to return to a place I love, doing work I enjoy and am good at too. I start again this week, and am excited to see where this leads. So there’s a little update on where I am right now in life. I’ll be sure to post more in the future, but for now know I am happy to be returning to the place where my professional career and personal development truly began, many years ago. I know this is where I am supposed to be, we will have to see what happens! Hello, Blogging Friends! If there is one thing you should know about me, it is that I try to help my friends. My good friend Joel sent me this letter and I would like you to read it too. I hope this letter finds you well! I am very excited to tell you about an opportunity that the Lord has been working on recently. 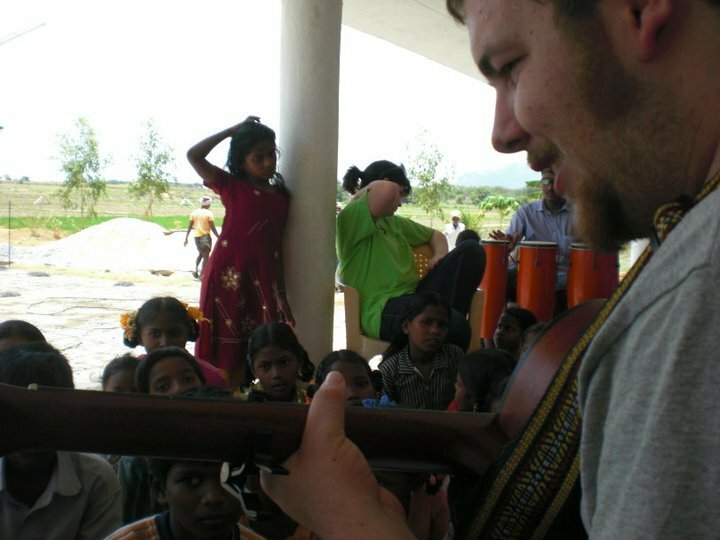 This fall I plan to go to India for 4-5 months of intentional missions work! In September, I will be traveling to southeast India, to the state of Andhra Pradesh. There, I will be working with a local ministry called ALMA (Abundant Life Ministerial Associates). You may recognize ALMA, as they are the same ministry organization that I was able to partner with on my trip in May 2011. On that trip I was blessed to be part of a team that partnered with Courts for Kids to build a basketball court for one of ALMA’s two orphanages, as well as spending a week working in the villages to deliver God’s message to His people. It has ruined my heart for the people of India for what I can only assume to be a long time, and I look forward to working with these amazing people again! This time, I will be going by myself for the majority of the trip, and will be joined by the team for two weeks in the last part for another court build! During the first four months, I will be ministering in the villages, teaching and serving the people that ALMA works with. They have near 350 churches state-wide that are supported directly through this ministry. My housing will be at ALMA’s original orphanage in, which means I will be blessed by being able to hang out and love on the children of the orphanage on a daily basis! What a blessing it will be to teach, play, and see these kids near every day! In December, the group from Portland will arrive and I will join their itinerary and become part of the team. During the first week we will be building the second basketball court for ALMA. At the end of the build we will put on a sports clinic for the kids, inviting neighboring kids to join them and use the court alongside the ALMA children! This is one of the major reasons ALMA has requested that we build this court for them – it becomes a space of community! The second week will be spent visiting villages, running programs for the adults and the children of the communities to see worship and hear about the Truth and Love of our Lord and Savior Jesus Christ. All of this to tell you that I have contacted you on purpose! There are many reasons behind my reaching out to you, but it all boils down to asking you for your support in my going to India. This can come in many ways, but there are two specifically that I am asking for. First and foremost, I ask for you partnering with me in prayer throughout this process. Pray that God would continue to write on my heart a grief and burden for the people that I am going to come in contact with while in India. Pray that He would prepare me with courage, with confidence and most of all with a humility that could only point to His Spirit. Pray that as I go I am able to safely go through the traveling process all the way to the orphanage and home. Pray for all of the details that go into this trip. Please lift up a prayer for the tickets, the visa, the money, the words and lessons that I am preparing and the travel, both air and land. Pray that as I am there, I am being used by Him in mighty ways. That I am not the one reaching the lost, but it is He reaching out through me, grabbing hold of hearts and tearing down walls. And as I leave, be it the villages, or India entirely, pray that the words and actions that I was blessed to give do not sit idly, but are instead continuing to grow in the hearts of these people. The second way that I would ask for you to partner with me is financially. If you are in a place where you feel blessed to bless, where you feel God’s beckoning to give, where you have a desire to fill a need, my prayer for you is that you seek it prayerfully, and give faithfully. My total fundraising goal is just shy of $5,000. My total I need to raise $2,000 before leaving, to pay for the airline tickets, the visa fees, and the transportation fees to get me there. Once there, I need to raise $500/month to cover my food cost, my transportation, my supplies, and my rent while staying with the orphanage. I also have a fundraising goal for the basketball court, to contribute to the team goal for making that vision a reality. I am not looking for you to give all of what I need, though if you feel led to, I won’t stop you! But any amount helps. I know it sounds nice and cliché, I have seen it firsthand and now fully believe that anything will help. If you feel led to give money towards getting me to India, thank you! If you feel led to pledging money while I am there, I thank you as well. And if you are not in a place to give financially, but want to support me in other ways aside from prayer, please let me know! I am certainly willing to take help and support in any way! Thank you for considering partnering with me in this trip in however you can! You mean more to me than words could say, and I appreciate all that you have been to me. I look forward to telling you all about how God is changing my heart, and the hearts of these wonderful Indian people, and of the miracles that I know He is going to allow me to see! I was able to see Joel just a few days ago and I can tell you first hand that he is very excited, with a mix of slight nervousness, about this trip and the opportunity ahead of him. I realize that part of his letter is in regards to fundraising, but please know that I am not necessarily asking you to give to this trip (unless you really feel called to); moreover, I am asking you to join me in praying for Joel as he prepares for this trip in the coming weeks and months. Please pray that the needed finances are raised, the application process for visas goes smoothly, and all the details get worked out with no issue. Joel is taking a step in faith and answering God’s call on his life…a call to go and serve among the poor and needy…among the people that truly need God and His love…remember this when you pray for the trip. I am so proud of Joel and his decision to follow through with this trip. I am glad to have given what I could to the trip…and will give more, as I save my tithe money. For now, I partner with Joel and others in prayer for the trip. God is going to do great things through him, I just know it! Joel- blessings be on you, brother. 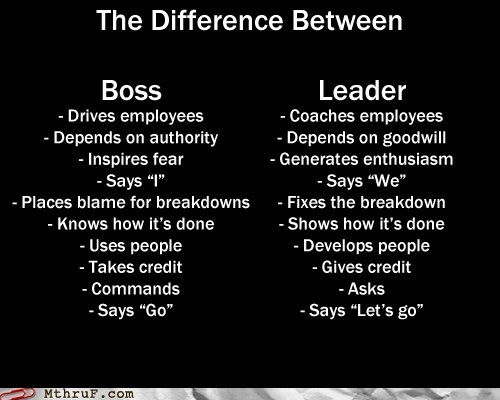 Check out the comparison below…it is so true! The best people I have worked for definitely fall more in to the second column then the first. The posses traits and qualities that I too hope to emulate. Which are you and who do you want to be? Let me start by saying that the past three days (Friday, Saturday, & Sunday) at work were crazy, busy, a little bit insane and all together great! It was definitely the busiest couple of days I have had since I started at the hotel, and showed me that this is the job for me, at least for right now. Let me briefly outline the three days in relation to work and what I was involved in. Friday: Our hotel had the privilege of hosting all Silver Cloud GMs, Assistant GMs and everyone from our Corporate Office, approximently 24 people in total. While some our staff were not entirely thrilled to be hosting this event, I was pretty excited. I am still one of the newest employees in the company and was glad for the chance to show people just what I can do when it comes to events. We had an awesome menu customized for them and I spent a while working to get both the meeting room and room for lunch ready and up to my level. I was so pleased with how everything turned out! I was able to meet everyone for Corporate and several of the GMs…it was great to be with people who have been in the hospitality for as long as they have and still seemed to be impressed with our facility. More than gaining self-gratification, I wanted these individuals to enjoy everything our hotel had to offer. 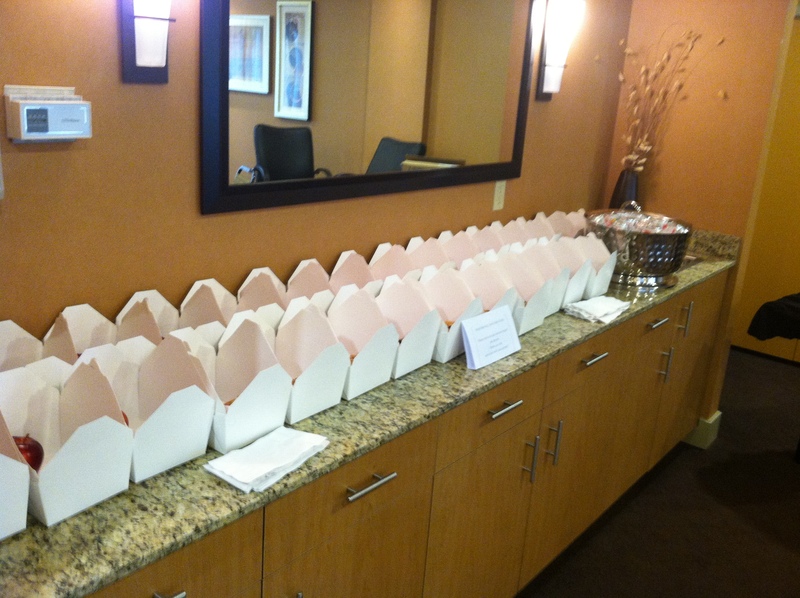 I also spent time prepping for two large groups I had staying in the hotel for the weekend. For protection of my clients, I will not say who the groups were specifically, but I will say that one was a lacrosse team (approx.17 rooms plus parents) and the other a ski team (approx. 30 rooms), lots of athletes! Saturday: I spent the day working on three groups. First, there was the ski group. They were fairly self-sustaining and involved minimal work on my end, just answering any questions that the group leaders had for me. Second, we had lots of work to do for the Lacrosse team. From the athletes all having breakfast in the restaurant at once to putting together 28 boxes to go, they definitely kept myself and the restaurant crew busy. 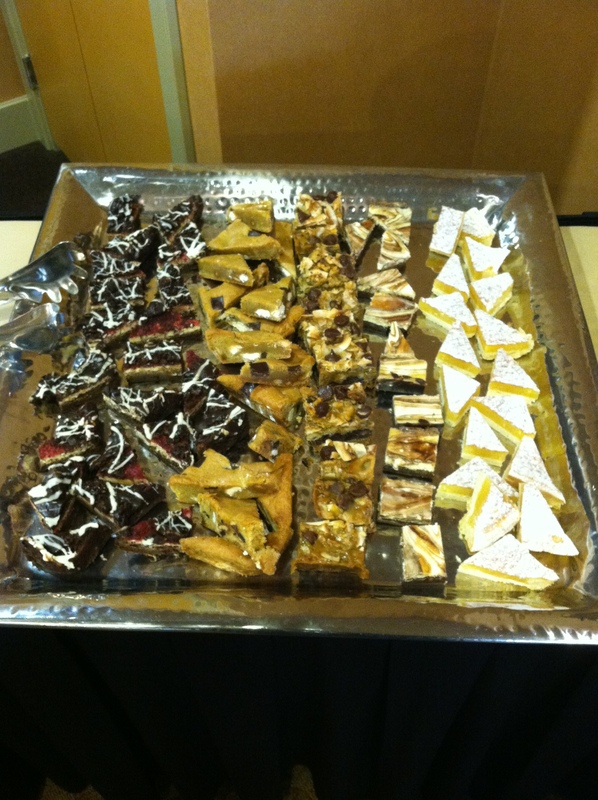 Third, I had booked a last minute event for a small group of dental hygienists that used our boardroom for the day. For them I made sure the room was set how they wanted, served them lunch and helped them out when needed. I was at work for most of the day and barely sat down! Sunday: Again all three groups were in the hotel. The main difference for today was that they were also all leaving at some point during the day. The ski team all left fairly early but stored some of their luggage while they were out skiing for the day. The lacrosse team once again had breakfast and to-go’s. As they prepared to head out to a game, I worked with team coaches to settle the various bills and make sure everything was in order…Needless to say, they left very happy and grateful that we had helped them out so much. The last group, the dental hygienists, were once again in the board room. I must say, they were the nicest group I have had in the past four months. It was a joy to serve them and I really hope they come back (and I bet they will)! 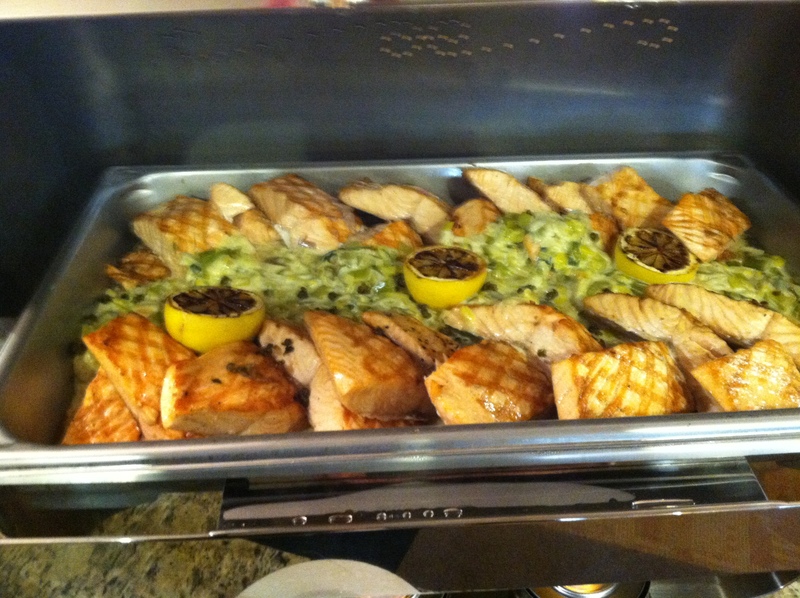 28 To-Go Meals for the Lacrosse team.